Rite Aid Corporation is a drugstore chain in the United States. The company ranked No. 94 in the 2018 Fortune 500 list of the largest United States corporations by total revenue. It is headquartered in Camp Hill, East Pennsboro Township, Cumberland County, Pennsylvania, near Harrisburg. Rite Aid is the largest drugstore chain on the East Coast and the third largest in the U.S.
A Rite Aid store in Westbrook, Maine in June 2018. This location is soon to be converted into a Walgreens. Rite Aid began in 1962, opening its first store in Scranton, Pennsylvania; it was called Thrift D Discount Center. After several years of growth, Rite Aid adopted its current name and debuted as a public company in 1968. As of 2019, Rite Aid is publicly traded on the New York Stock Exchange under the symbol RAD. Its major competitors are CVS and Walgreens. In late 2015, Walgreens announced that it would acquire Rite Aid for $9.4 billion pending approval. However, on June 29, 2017, over fear of antitrust regulations, Walgreens Boots Alliance announced it would buy roughly half of Rite Aid's stores for $5.18 billion. On September 19, 2017, the Federal Trade Commission (FTC) approved a fourth deal agreement to purchase Rite Aid with 1,932 stores for $4.38 billion total. Alex Grass founded the Rite Aid chain in Scranton, Pennsylvania in September 1962, after marrying into Harrisburg Pennsylvania's Lehrman family in the early 1950s. The first store was called Thrift D Discount Center. The store expanded into five additional states in 1965 and went public as Rite Aid in 1968. It moved to the New York Stock Exchange in 1970. Rite Aid is one of Fortune 500's Largest U.S. Corporations. Rite Aid store in Scott Depot, West Virginia in June 2006. This location is soon to be converted into a Walgreens. Ten years after its first store opened, Rite Aid operated 267 locations in 10 states. In 1981 Rite Aid became the third-largest retail drugstore chain in the country. 1983 marked a sales milestone of $1 billion. A 420-store acquisition along the east coast expanded Rite Aid's holdings beyond 2,000 locations, as did the acquisition of Gray Drug in 1987. Among the companies acquired was Baltimore, Maryland's Read's Drug Store. On April 10, 1989, Peoples Drug's 114 unit Lane Drug of Ohio was purchased by Rite Aid. Rite Aid acquired twenty-four Hook's Drug stores from Revco in 1994, selling nine of those stores to Perry Drug Stores, a Michigan-based pharmacy chain. One year later, in turn, the 224-store Perry chain was acquired by Rite Aid. The 1,000-store West Coast chain Thrifty PayLess was later acquired in 1996. The acquisition of Thrifty PayLess included the Northwest-based Bi-Mart membership discount stores, which was sold off in 1998. Acquisitions of Harco, Inc. and K&B, Inc. brought Rite Aid into the Gulf Coast area. In the 1990s, Rite Aid partnered with Carl Paladino's Ellicott Development Co. to expand the company's presence in upstate New York. In 2015, Rite Aid purchased EnvisionRx, a pharmacy benefit manager, which owns subsidiary PBMs MedTrak, Connect Health Solutions, and Smith Premier Services. General Nutrition Corporation (GNC) and Rite Aid formed a partnership in January 1999, bringing GNC mini-stores within the Rite Aid pharmacies. A partnership with drugstore.com in June 1999 allowed customers of Rite Aid to place medical prescription orders online for same-day, in-store pickup. At the time, Rite Aid had just acquired Thrifty PayLess and was integrating the stores into the company. As a result, Leonard Green, who ran the investment firm that had sold those stores to Rite Aid, took control of the company and installed Mary Sammons from Fred Meyer as CEO. In July 2001, Rite Aid agreed to improve their pharmacy complaint process by implementing a new program to respond to consumer complaints. On July 25, 2004, Rite Aid agreed to pay $7 million to settle allegations that the company had submitted false prescription claims to United States government health insurance programs. In August 2007, Rite Aid acquired approximately 1,850 Brooks and Eckerd Stores throughout the United States in hopes of improving their accessibility to a wider range of consumers. On December 21, 2007, The New York Times reported that Rite Aid had record-breaking losses that year, despite the acquisition of the Brooks and Eckerd chains. The following fiscal quarter saw an increase in revenue but a sharp fall in net income as Rite Aid began the integration process. Rite Aid shares fell over 75% between September 2007 and September 2008, closing at a low of $0.98 on September 11, 2008. Rite Aid shares subsequently dropped to $0.20 on March 6, 2009, the all-time low as of 4 December 2018[update]. Scott Cole & Associates, APC filed a class action lawsuit against Rite Aid Corporation on behalf of its salaried California Store Managers. It was alleged that Rite Aid failed to pay overtime to these workers and denied them their meal and rest periods. In 2009, the action settled for $6.9 million. Rite Aid had a major accounting scandal that led to the departure (and subsequent jail time) of several top ranking executives, including CEO Martin Grass. After serving six years in prison, Martin Grass was released on January 18, 2010. Founder Alex Grass died of cancer on August 27, 2009. In June 2010, John Standley was promoted from Chief Operating Officer to Chief Executive Officer, with former CEO Mary Sammons retaining her position as Chairperson; Ken Martindale, previously co-President of Pathmark, was named Chief Operating Officer. In October 2018, a former Rite Aid vice president of advertising and two co-owners of Nuvision Graphics Inc. plead guilty to in a $5.7 Million kick-back scheme defrauding Rite Aid. The wellness+ card is Rite Aid's free shopping rewards card that started nationwide on April 18, 2010. It became a part of the newly launched American Express-backed Plenti rewards program in May 2015. Rite Aid introduced wellness+ BonusCash on January 1, 2018. Customers can no longer earn Plenti points; instead, they earn BonusCash that can only be redeemed at Rite Aid. However, Rite Aid would remain a part of the Plenti rewards program, which would end on July 10, 2018. On August 23, 2006, the Wall Street Journal announced that Rite Aid would be buying the Eckerd Pharmacy and Brooks Pharmacy chains (Brooks Eckerd Pharmacy) from the Quebec-based Jean Coutu Group for US$3.4 billion, and merging the two chains into one dominant pharmacy system. The company's shareholders overwhelmingly approved the merger on January 18, 2007. 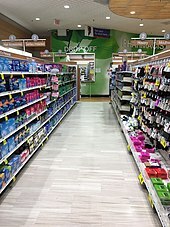 After some store closures and the conversion of the two chains was completed, Rite Aid became the dominant drug store retailer in the Eastern U.S., and the third largest drug retailer nationwide (behind the faster-growing Walgreens and CVS chains). Similar to what CVS experienced in the Chicago metropolitan area after its purchase of Albertsons drug store chains, the deal gave Rite Aid stores that were too close to each other. (Only 23 stores nationally were sold to Walgreens, The Medicine Shoppe, or independent owners to meet federal regulations.) 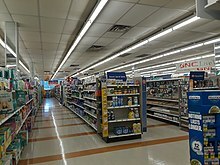 In many situations, especially in Pennsylvania, where both chains were dominant and had roots in the Commonwealth (Rite Aid originated in Scranton; Eckerd began in Erie, while Thrift Drug was popular in the Pittsburgh area), there were, in some cases, neighboring Rite Aid stores. However, in March 2008, some of these overlapping stores were closed. Most of these stores that closed were pre-existing Rite Aids from before the Eckerd deal, since Eckerd had built newer, more modern stores with drive-through pharmacies and larger space under ownership of both JCPenney and Jean Coutu Group; and the "moved to" sites were converted Eckerds. Employees at the closed stores were transferred to nearby ones, so no layoffs were necessary. Rite Aid had sold some stores to JCPenney's Thrift Drug chain in the mid-1990s shortly before JCPenney's acquisition of Eckerd and had also sold all of their Massachusetts stores to Brooks in 1995, bringing some existing Eckerd and Brooks stores that were once Rite Aids full circle. Because Eckerd was previously owned by JCPenney, Eckerd stores accepted JCPenney charge cards. Since the merger, all Rite Aids take JCPenney charge cards, a policy also followed by competitor CVS pharmacy, which had earlier acquired most of the Eckerd chain in the southeastern United States. With the acquisition of Brooks Eckerd, at its peak in 2008, Rite Aid had a total of 5,059 stores and employed 112,800 people. On January 4, 2008, Rite Aid Corporation announced that it would terminate operation of its 28 Rite Aid stores in the Las Vegas, Nevada, area and had signed an agreement to sell patient prescription files from that metro market to Walgreens. The company said Las Vegas was a non-core market that had not been contributing to overall results, and it had not opened a new store there since 1999. One Nevada store would remain open in Gardnerville, near the California border, where Rite Aid at the time had more than 600 stores. On February 5, 2009, Rite Aid announced that it would terminate operations of seven Rite Aid stores in San Francisco, along with five stores in eastern Idaho through a sale to Walgreens. Displays in a Rite Aid store in Rose Hill, Fairfax County, Virginia in September 2018. This location is soon to be converted into a Walgreens. On October 27, 2015, Walgreens announced that it would acquire Rite Aid in a deal valued at $9.4 billion ($9 per share), pending regulatory and shareholder approval. The deal would have resulted in a merger of two of the United States' three largest pharmacy chains. Walgreens planned to keep the Rite Aid name on existing stores when the deal went through, though the long term plans for the Rite Aid name were unknown. On December 21, 2016, it was announced that Fred's would acquire 865 Rite Aid stores as a result of the merger for $950 million, for antitrust reasons. In January 2017, Rite Aid and Walgreens cut the price of the merger to approximately $6.8 billion and delayed the merger by six months. On January 31, 2017, it was reported that the workers' union 1199SEIU United Healthcare Workers East, representing 6,000 Rite Aid Corp workers, was opposed to the sale of the Rite Aid stores to Fred's Inc.
On June 29, 2017, Walgreens (WBA) announced the merger was cancelled, adding that it would be purchasing 2,186 stores from Rite Aid for $5.2 billion plus a $325 million penalty for cancelling. Most experts had thought that the merger would be completed within a few weeks. The merger would have had about 46% of the market share. The revised deal—now not including Fred's at all—effectively would have seen Rite Aid exit the Southeastern United States. On September 19, 2017, the Federal Trade Commission (FTC) approved a fourth deal agreement, this time allowing Walgreens to purchase only 1,932 Rite-Aid stores for $4.38 billion. The sale was completed on March 27, 2018. Three distribution centers and related inventory will be transferred after September 1, 2018, when the stores will be rebranded to Walgreens. The 1,932 stores have banners saying "Pharmacy now operated by Walgreens" in the meantime. As of fiscal year 2018, California with 570 stores is home to the largest number of Rite Aids, followed by Pennsylvania and New York with 529 and 321 respectively. On February 20, 2018, Albertsons announced plans to acquire the remainder of Rite Aid, including the 2,600 stores not acquired by Walgreens, in a merger of equals, subject to shareholder and regulatory approval. On August 8, 2018, Rite Aid announced that the plan had failed to please shareholders and the proposed acquisition would be cancelled. As reported by Rite Aid, the company is involved in two consumer class action lawsuits in the United States District Court for the Southern District of California, alleging that it has overcharged customers’ insurance companies for prescription drug purchases, resulting in overpayment of co-pays. ^ "Management Team - Rite Aid". www.riteaid.com. Retrieved 12 December 2018. ^ a b c d e f "Rite Aid Corporation 2017 Annual Report (Form 10-K)". sec.gov. U.S. Securities and Exchange Commission. April 2017. ^ "Fortune 500 Companies 2018: Who Made the List". Fortune. Retrieved 2018-11-10. ^ "Contact Us." Rite Aid. Retrieved on June 19, 2010. "Contact our Home Office 30 Hunter Lane Camp Hill, PA 17011." ^ "Zoning Map Archived 2010-09-21 at the Wayback Machine." East Pennsboro Township, Cumberland County, Pennsylvania. Retrieved on June 19, 2010. ^ "Walgreens, Rite Aid End $9.4 Billion Merger". The Wall Street Journal. Retrieved 29 June 2017. ^ Witsil, Frank (October 29, 2015). "Drugstore buy might start up headaches" (Vol 185, No.178). Detroit Free Press. p. B1. ISSN 1055-2758. ^ a b Langreth, Robert; McLaughlin, David (September 19, 2017). "Walgreens Wins U.S. Approval for Rite Aid Deal on Fourth Try". Bloomberg News. New York City: Bloomberg L.P. Retrieved September 19, 2017. ^ "Rite Aid got its start in Scranton - News - Standard Speaker". Standard Speaker. 2012-10-07. Retrieved 2016-03-25. ^ "Rite Aid's troubled history of family drama, high debt and mismanagement". PennLive.com. Retrieved 2017-10-31. ^ "Three drug stores on the brink: Deal to involve Rite Aids | Peninsula Daily News". Peninsula Daily News. 2016-12-22. Retrieved 2017-10-31. ^ "Alex Grass". NNBB. Retrieved 29 September 2012. ^ Haggerty, James. "Rite Aid got its start in Scranton". Retrieved 2017-10-31. ^ "Rite Aid". Fortune. Retrieved 2017-10-31. ^ Chain Drug Review, March 27, 1989 "Peoples divests its Lane units"
^ "Rite Aid, Perry grow in Michigan". Chain Drug Review. Archived from the original on 2008-01-22. Retrieved 2007-10-07. ^ Fried, Lisa I. (1995-02-20). "Perry-Rite Aid consolidation begins". Drug Store News. Retrieved 2007-10-07. ^ Breidenbach, Michelle (2010-10-10). How Carl Paladino built his Rite-Aid empire. The Post-Standard (Syracuse, New York). Retrieved 2010-10-10. ^ Brian S. Feldman (17 March 2016). "Big pharmacies are dismantling the industry that keeps US drug costs even sort-of under control". ^ "Health Plan Agrees to Improve Pharmacy Complaint Process" (Press release). Office of New York State Attorney General. 2001-07-30. Archived from the original on 2009-02-12. Retrieved 2008-09-05. ^ "Rite Aid to pay $7 Million for Allegedly Submitting False Prescription Claims to Government" (Press release). United States Department of Justice. 2004-06-25. ^ "Rite Aid Reports Wider Loss and Lowers Outlook". The New York Times. 2007-12-21. Retrieved 2010-05-22. ^ "NYSE, New York Stock Exchange > Listings > Listings Directory" [Rite Aid Stock Price]. Archived from the original on 2012-10-09. Retrieved 2012-02-23. ^ Central PA. "Jailed Rite Aid ex-CEO Martin Grass is moved to community corrections facility in anticipation of release". PennLive.com. Retrieved 2013-07-18. ^ Central PA. "Alexander Grass, Rite Aid founder, laid to rest". PennLive.com. Retrieved 2013-07-18. ^ "Rite Aid Promotes John T. Standley to CEO, Effective June 24, 2010; Mary Sammons to Retain Position of Chairman". Rite Aid press release. 2010-01-21. Retrieved 2010-07-10. ^ "Ken Martindale Promoted To Chief Operating Officer At Rite Aid". Rite Aid press release. 2010-06-24. Retrieved 2010-07-10. ^ "Atlanta business owner pleads guilty to $5.7M Rite Aid vendor kick-back scheme". www.bizjournals.com. Retrieved 2019-01-03. ^ "Former Rite Aid executive pleads guilty in $5.7 million kickback scheme". PennLive.com. Retrieved 2019-01-03. ^ "Former Rite Aid Vice President Pleads Guilty In $5.7 Million Vendor Kick-Back Scheme". www.justice.gov. 2018-10-01. Retrieved 2019-01-03. ^ "Rite Aid to Exit Las Vegas Market" (Press release). Camp Hill, PA: Rite Aid. 2008-01-04. Retrieved 2014-10-03. ^ Colliver, Victoria (2009-02-07). "Rite Aid selling its S.F. stores to Walgreens". SFGate. San Francisco. Retrieved 2014-10-03. ^ "Walgreens, Rite Aid Unite to Create Drugstore Giant". The Wall Street Journal. Retrieved 28 October 2015. ^ "Rite-Aid acquired by Walgreens; will keep name for the time being - Kitsap Daily News". 30 November 2015. Retrieved 24 September 2018. ^ "Fred's Acquiring 865 stores". wsj.com. The Wall Street Journal. 21 December 2016. ^ Merced, Michael J. De La (2017-01-30). "Walgreens and Rite Aid Cut Price of Merger". The New York Times. ISSN 0362-4331. Retrieved 2017-01-31. ^ "Walgreens and Rite Aid Merger". Pharmacy Near Me. February 23, 2017. ^ "Walgreens Calls Off Deal to Buy Rite Aid". Retrieved 24 September 2018. ^ "Rite Aid 2013 Annual Report (10-K)". SEC.gov. Retrieved 18 November 2013. ^ "Albertsons Companies and Rite Aid Merge to Create Food, Health, and Wellness Leader". BusinessWire. Retrieved 20 February 2018. ^ "Albertsons Cos. and Rite Aid Merge". Albertsons. Retrieved 2018-02-22. ^ Hirsch, Lauren (2018-08-08). "Rite Aid and Albertsons agree to terminate their merger". CNBC. Retrieved 2018-08-09. ^ "NYSE:RAD / Rite Aid Corp. - Earnings Per Share Basic And Diluted". Retrieved 2019-03-03. ^ a b c "Rite Aid Corporation 2019 Quarterly Report (Form 10-Q)". sec.gov. U.S. Securities and Exchange Commission. January 2019. 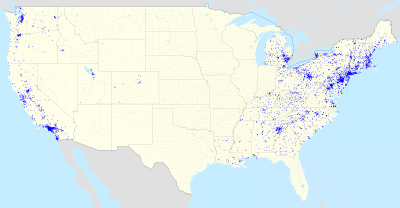 Wikimedia Commons has media related to Rite Aid.